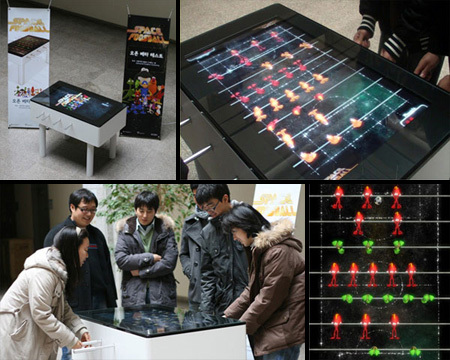 Collection of creative modern gaming tables that make games such as ping pong, pool, and table football more exciting. 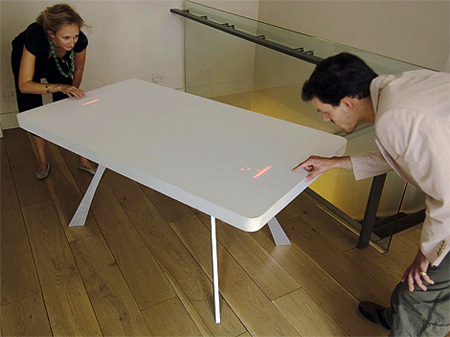 Designed by Moritz Waldemeyer, this table comes with 2400 LEDs and 2 trackpads that turn it into a modern version of the 1972 Pong game. 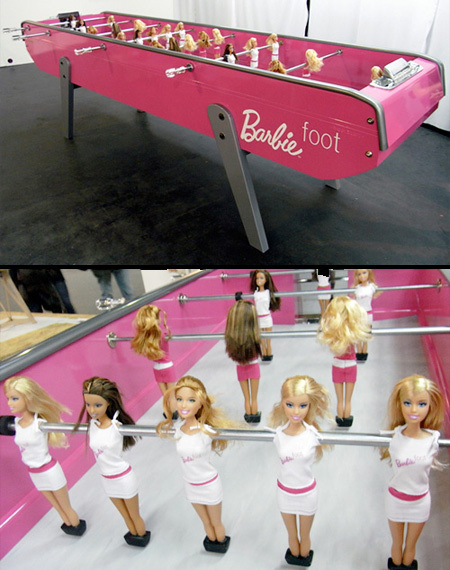 French designer Chloe Ruchon has replaced regular plastic foosball players with Barbie dolls. 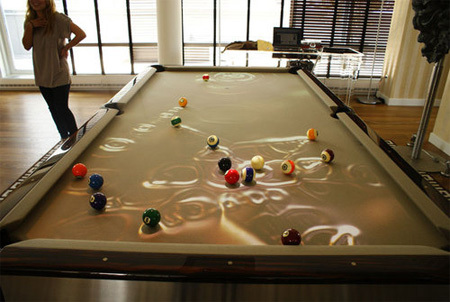 This futuristic pool table uses sensors and an overhead projector to create images that follow balls as they bang around the table. 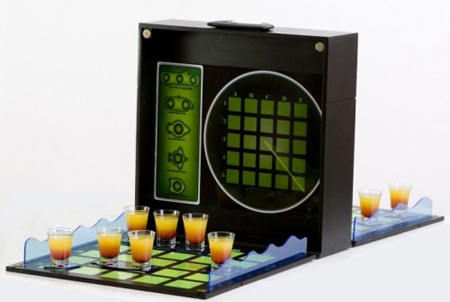 Enigma is the classic Battleship game turned into a drinking game. 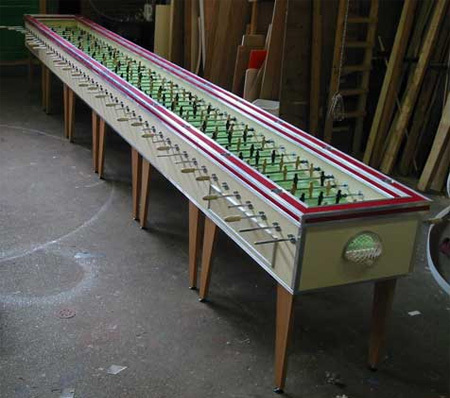 To promote Amstel Beer, Airworks has created this XXL foosball table that accommodates 2 full soccer teams (22 players). Space Foosball has replaced traditional plastic men and ping pong balls with pixels and a physics engine. 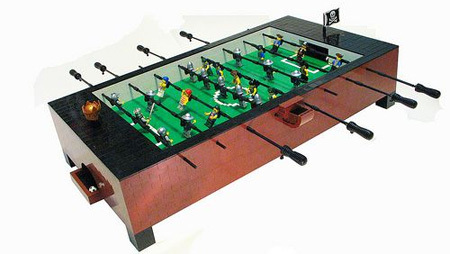 Billy McDill has created a foosball table that places LEGO Pirates against LEGO Knights. 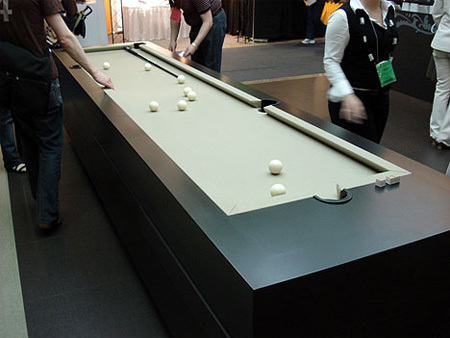 Custom rectangular pool table will change the way you play. 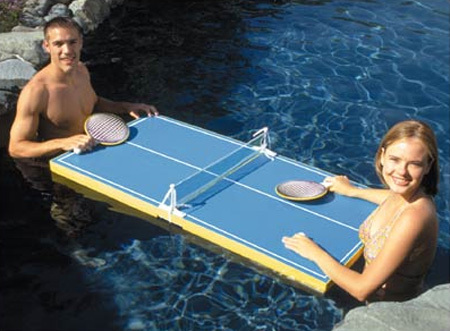 Add some splash to your game of ping pong with this floating table. 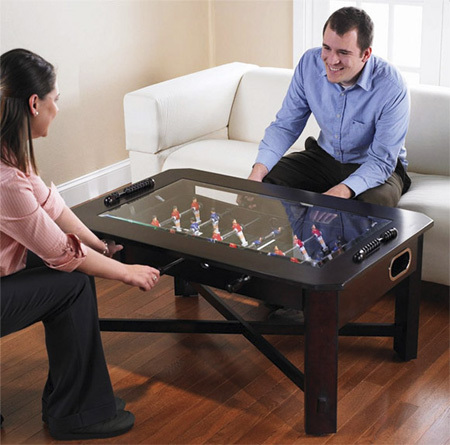 Modern coffee table with a built-in foosball game. Great for people that like to save space or live in small apartments.